While there is a great need for pediatrics and neonatology clinical trials there are many ethical issues that arise. Children’s fear of medical procedures, their inability to understand what is going on and parent’s motivations for wanting their children to take part in a clinical trial all need to be considered. Due to a lack of pediatrics and neonatology clinical trials there are many medications being used in children’s treatment that have never been tested on children. Children metabolize and process medications differently than adults do, and very differently as they progress from being a toddler to a teenager. If you are interested in your child participating in a pediatrics or neonatology clinical trial they may qualify. In all clinical trials the safety and health of the child is of utmost importance. What is Pediatrics / Neonatology? Pediatrics is an area of medicine that specializes in treating infants, children and young adults usually from birth until the age of 18. Children’s bodies are smaller, their maturity levels are different and they have developmental issues that adults do not have to deal with. In many cases parents need to give consent for treatments since children are too young to understand their condition. Neonatology is a specialized field that deals with newborns, especially those who are born ill or premature. 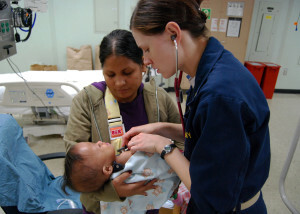 Neonatologists usually work in hospitals in the neonatal intensive care unit (NICU). Low birth weights and birth defects are common things that they deal with.